I was making my tour through the internet and came across this brilliant response from Mike Rowe from a fan asking him about career advice to find his ‘dream job’. It’s a brilliant response from Mike that’s poignant and applies to more than career advice. Check it out via the link below. I’m a big fan of Mike’s (and Freddie, his new puppy) for more than this article, but it certainly adds to my admiration. So what was your take away from Mike? For me it is that happiness is an inside job. Don’t assign anyone else that much power over your life. As always, love to hear from you; comment, like and share – that’s the purpose of putting out there 🙂 I’m a sharer! Never heard of this guy. But loved the piece. Thanks for sharing. 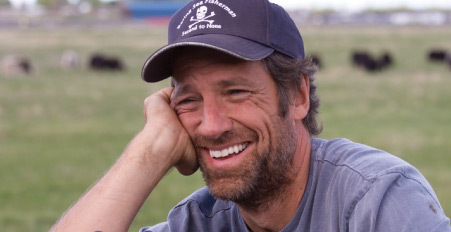 He’s was the host of a US show called Dirty Jobs on the Discovery Channel. He’s done voice over work on that channel as well for several shows. You’ll have to check it out sometime. His web and Facebook page will certainly add some humor to your cruising the internet. Yes, I’ll certainly check him out, thanks! Oh no, not a Claire! 😊 At least now you know the signs & how to step it up some. Great advice for so many things. Indeed 🙂 I’m going to break down those invisible walls!